The time is neigh for Patti and I to meet in Seoul, South Korea. It has been almost four months since I flew from Anchorage to Seattle / to Seoul / to Ulaanbaatar, Mongolia / to Irkutsk Russian Siberia. Yesterday, at 7:09am in the dark and cold (minus -38°F) of a Russian Siberian winter morning, I walked, with my rolling duffel bag and my carry-on backpack, from my flat to the Hotel Irkutsk where a taxi was awaiting me at 7:15am to take me to the Irkutsk International Airport. As I shared yesterday on dot.net, as I was making the above walk I thought to myself..
" If I fall and hurt myself, I could freeze-to-death before anyone would find me in this alleyway to the hotel. Am I getting too old to be doing this?" Obviously, as I now write from Seoul, I got to the hotel, to the airport, on the plane, off the plane, into Seoul and met my friends Terry and Kathy who I stayed with here in Seoul last October of 2018. Below are some photos of my trip. A lot had to happen before I got to my boarding gate. But finally I arrived to find a very welcome sight awaiting me. My airline, simply known as S7, is the largest commercial airline within Russia. The below photo shows another S7 airliner approaching us. Does it look cold out there? The flight was 4-1/2 hours. I slept a lot of the flight. S7 borders on being a radical low cost airline. When the early-in-the-flight beverage cart came down the aisle, we had the choice of : water / orange juice / tea / coffee. Period! No soft drinks. No snacks. Then, just past the midpoint of the flight, suddenly, much to my surprise and joy, lunch appeared. Call me 'different', but I love airline meals. My lunch entree was (top) chicken with vegetables and (bottom) steamed rice. What I wonder is in the box? Just look! How much fun is this! A salad, some fruit, a piece of bread and for dessert, a very nice chocolate bar. Never, on all of my airline flights over a lifetime, has the sun been such that the shadow of my aircraft suddenly appeared. The shadow and aircraft are about to become one! Will all of you just look at the Incheon International Airport concourse that I looked upon immediately as I emerged from the jetway exit! I have never seen a more beautiful airport concourse in my life. 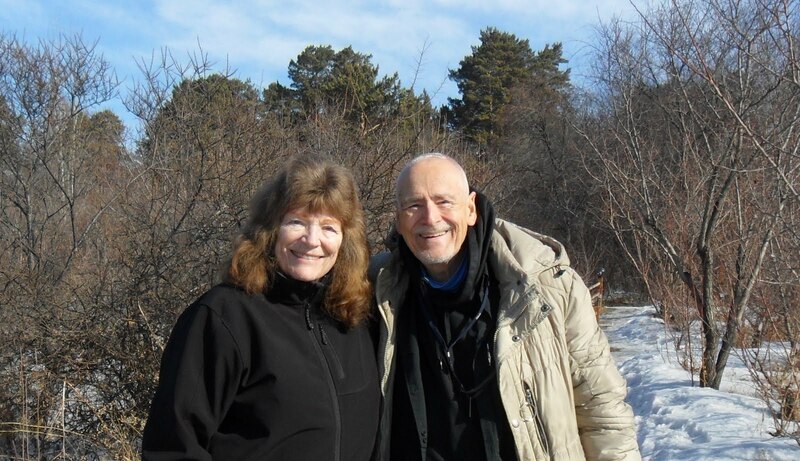 Smiles from Patti (still in Seattle waiting-out a severe snowstorm) and Cap now settling here in Seoul awaiting Patti's arrival on Monday. That lunch looks great. The airplane shadow is pretty cool, too. Enjoy South Korea!